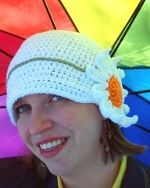 If you’ve started creating your own designs in crochet, the thought has probably crossed your mind at least once – is there some way that I can make money off of this? After all, there is a booming online crafting economy, and you do good work. There has to be some way for you to cash in on this! I have good news for you: there is! Here are some tips to help you get started making some extra cash off of your creative efforts. When someone purchases a pattern from you, they expect to receive clear, understandable direction that are (for the most part) free of errors. People just won’t put up with the same quality in a design that they paid money for that they will in one they get for free. When I first began selling patterns I was careful to have them tested by a handful of people so that I could be sure that 1) my directions were understandable and 2) my directions produced a project like my prototype when followed. Now that I’m much more experienced I don’t worry about that as much, but it was very helpful to have that feedback when I was getting started. You might also try creating some simple projects and offering the directions for free to see what kind of feedback you can get on your pattern writing. Gauge – how many stitches and rows in a certain stitch pattern are needed to make a 2 or 4 inch square. This helps the crocheter discover if their project is going to come out the same size as yours. Let’s get into that last point a little more. It doesn’t matter how beautiful your design is if all the photos that your customer will see are badly lit, out of focus, and blurry. Unless you plan to sell only to people who will physically handle your sample, the photos are the only way for a customer to decide if your pattern is something they want. If your pictures are poor quality, they will assume that your design is, too. Never fear! You don’t have to be a professional photographer to get sale-worthy photos. Here are some tips to get you started. Just keep taking pictures. You have a digital camera, right? Then there’s no reason for you to stop after five photos. You’re far more likely to have a usable photo if you have 20 or even 100 to choose from instead. Turn off the flash and find some sunlight. Bright, indirect light is the best sort for clear pictures without harsh shadows. This means outside on bright days with cloud cover, in light shade on sunny days, or near a sunny window (but not in the direct rays of the sun) if you’re inside. Good lighting conditions will help even cheap cameras produce better pictures. Get in focus. Many cameras have automatic focusing functions. Make sure you’re focusing on your item, not on the background. Blurry photos are a no-no – practice, if necessary, until you can get your camera to focus where you want it. If you’re having trouble getting your camera to focus, see if you can add more light somehow, scoot back, or put your item somewhere that it contrasts more with the background. Make sure you show your whole item. This is very important. It’s okay to include zoomed-in or ‘artistic’ shots as long as you also have pictures available of what the project looks like overall. Take pictures of any special details. If the edging is your favorite part, be sure to take a good picture of it. People want to see what makes your design special! If your camera has a ‘macro’ setting (often represented by a flower) that may be best for close-up shots of little details. Use models if at all possible! Everyone wants to see what that baby sweater will look like on an actual baby, and even if your project doesn’t have to be worn (like a stuffed toy or a blanket) pictures with people in them are automatically more interesting than pictures without. Give it a try! Don’t be afraid to edit your pictures. Small changes like cropping, brightening, or color balancing can make a big difference in your photos (especially if you aren’t a professional). Don’t hesitate to experiment, but always save your original and work on a copy in case you make a mistake that you can’t undo. If, no matter what you try, your photos come out abysmal, find someone to help you. I think most of us these days know someone who’s an amateur – or professional – photographer. They may be willing to take some pictures for you, or at least give you some help taking your own. I cannot emphasize enough that without good pictures, your sales will suffer. Once you have your pattern written and photographed, put it together and save it. (PDF is my favorite format for patterns.) Then it’s on to the next step! Even if you already have a local venue in mind to sell your patterns (perhaps a craft show or local yarn store) I would recommend looking into selling online as well. Think about it: only a small percentage of the people who see your patterns will buy some, but if you can increase the number of people who see them your total sales will increase as well. 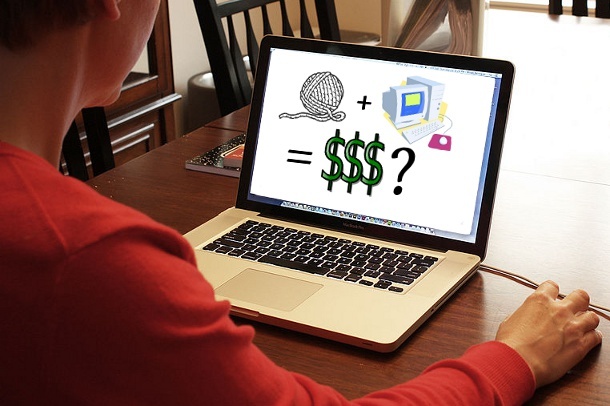 There isn’t a bigger marketplace these days than the internet! Even online, however, some places are better than others to set up shop. Here are some to consider! Having a personal website is a great idea if you plan to sell patterns online. If you have set up pattern sales on Ravelry, you can integrate their shopping cart system into your website and they will continue to handle the pattern delivery (without any charges until sales exceed $30 in one month). If you choose not to go with Ravelry there are a variety of shopping cart and delivery systems you can use instead, just do some research until you find the one that’s right for you. Just because you don’t make a sale on your first day – or month – doesn’t mean you should quit. Keep designing, keep practicing your pattern writing and photography, and someday you could be making money off of your designs! Do you have some tips for designers trying to get started selling their patterns? Leave them in the comments! Great advice for the person that loves to create crochet patterns. I have sold my designs on the sites mentioned by Melissa for several years. One more site that is wonderful for indie designers is Craftsy.com. There are no fees other than the Paypal fee and Craftsy will make your pattern download available immediately to the buyer. They also have great classes for many types of crafts. Thanks, Lori! I’m not familiar with Craftsy, I’ll have to check it out. Adding your patterns as a designer to Craftsy is very easy. As to finding my patterns, just google lastade. Inner Child Crochet – your patterns are so cute! so where all do you sell? are you on etsy? how do i find the stuff you sell there? There’s also shop delighted, a site that’s a cross between etsy & craftsy/ravelry – you can sell handmade items there, but they also have a digital pattern shop, where patterns are automatically downloaded after purchase. They do charge fees, a little heftier than etsy, but it’s another place to list patterns. I’ve been selling only a few things a month, but oddly the patterns that are selling well there are patterns that don’t sell well elsewhere, so it’s worth it to me. Do you have any suggestions on where to sell handmade items? I have totally been looking to do this for like ever now. Any other helpful hints if you haven’t sold anything like this on etsy? I was always worried it wouldn’t be worth the posting fees. I believe that new accounts get a certain amount of free listings on etsy now, but the best advice I have is to do your research. Make sure you’re selling something comparable to things people are buying, at a price they will pay, and make sure you get the word out whether that be on your blog, website, facebook, Ravelry account or whatever it be. Thank you for all the tips. I have been crocheting since I was a child and have just started creating my own designs. If I would like to sell a pattern do I need to protect my design by copyright or something so that it cannot be resold? Fantastic tips, really usefull. I sell my patterns on etsy and on ebay, it goes ok. I don´t earn a lot of money out of it but it´s nice to have some money on the side to buy sometimes your supplies or other nice things with it.